Is it too early to sign your preschooler up for organized sports? 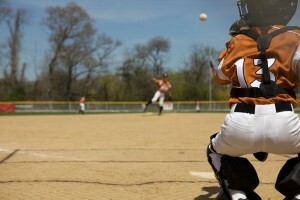 Home » Dad » Is it too early to sign your preschooler up for organized sports? You've watched your young child play with other neighborhood kids and noticed he seems to have a knack for competitive games, even at such an early age. As a dad, this can be an especially proud moment as you think ahead to visions of high school championships, college scholarships and possibly entering into professional sports. But if your child is still in preschool, another thought may have recently crossed your mind – "is it too early to sign my child up for organized sports?" Although scores of little leagues around the country allow children as young as three to showcase their early athletic prowess, it may be best to take a moment to think about doing so. Even with indications of a promising future as an athlete, children who are still in preschool may have a difficult time grasping the complexities of rule-heavy sports like baseball, soccer, football or basketball. Luckily, there are a number of other ways you can and should keep your preschooler physically active. While the rules may be difficult for your little one to grasp at this age, you can still get started teaching them some of the fundamentals of sports like catching, throwing, kicking, running and hitting. As individual components, these activities can be fun and stimulating for preschoolers while preparing them for friendly competition in a couple of years. In fact, according to the National Association for Sport and Physical Education, preschoolers should participate in at least 60 minutes of structured physical activity each day – meaning playtime with mom and dad. In addition to structured activity, you should allow your children an equal amount of time for free, unstructured playtime every day. Encourage your kids to play with other neighborhood kids in the backyard and try to visit your local park whenever possible. Games like hide-and-go-seek and tag are great sources of activity and will help your children develop friendships and social skills. As long as your child is outside and away from sedentary distractions like video games or TV, they'll be getting the exercise they need.